Heat oil in a heavy oven proof skillet. Add onion and garlic and stir cook until onions are translucent. Add mushrooms and stir cook until soft. Add chicken, salt, pepper and oregano; stir cook until chicken is no longer pink. Add wine and cook until liquid is reduced by half. Add the tomatoes and the bay leaves; stir to combine. Bring to a boil and cook, stirring occasionally, for 15 minutes or until thickened. Remove from heat and discard bay leaves. Preheat the broiler to high. Set oven rack in the middle of the oven. 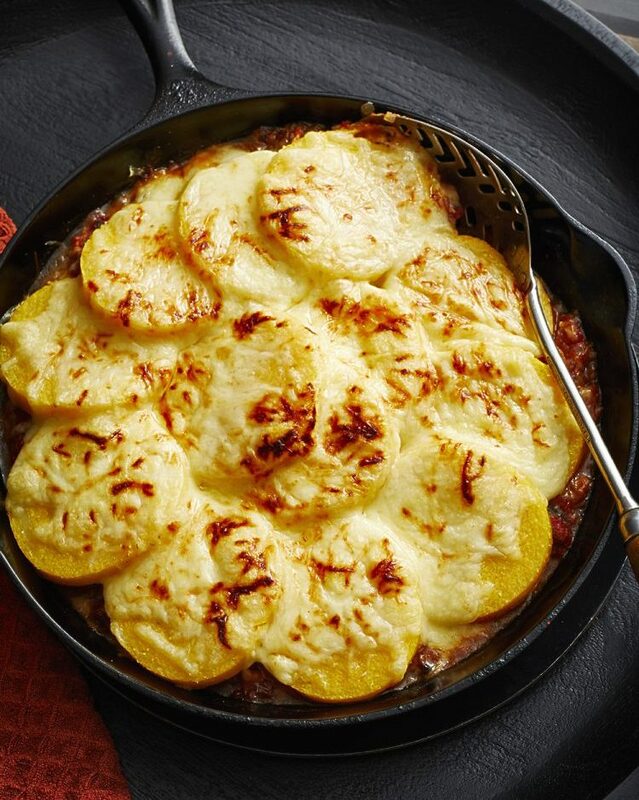 Layer the sliced polenta on top of the meat mixture and top with cheeses. Broil for 3-6 minutes until the cheeses are melted, bubbly and golden brown. Remove from the oven and let stand at least 5 minutes before serving. Tip: Make the meat sauce the night before and refrigerate until needed. Reheat the sauce in the skillet and continue with the recipe. The sauce can also be frozen - make a double batch of sauce and freeze half for another meal.